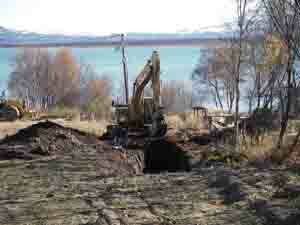 Summit Consulting provided design of a new power plant pad foundation and geotechnical services. 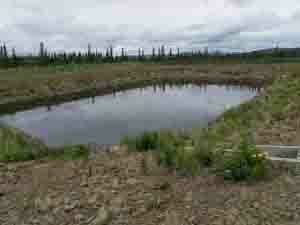 Summit also completed quality control of the thermosyphon foundation installation. 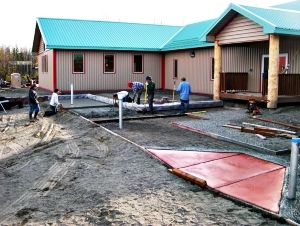 Summit provided CM services to Alaska Native Tribal Health Consortium to complete water and sewer system improvements, which included constructing a 1,728 square foot water treatment plant, constructing a two cell seven acre sewage treatment lagoon, the installation of a submersible well pump, and the construction of 140 lineal feet of raw water transmission line, with valve vault and appurtenances to connect the line to the existing water transmission line. and a new sewage lift station. 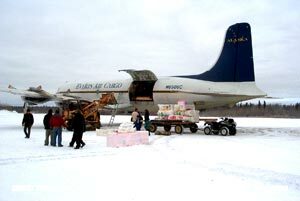 In March 2003 Summit was retained by the Yukon Flats School District to provide a cost estimate to replace the school's standby generator facility, which was destroyed by fire. Summit's field investigations in July indicated possible soil contamination, and an asbestos cleanup effort was completed in August. Further site assessment and related investigation revealed that the soils at the generator site as well as the area surrounding the school, had hydrocarbon contamination exceeding allowable levels, and a formal recommendation was issued for comprehensive cleanup and remediation. Summit carried out portions of the site assessment work including writing the Phase I and II environmental assessment reports, soil sampling, and temporary coverage of the surface contamination area. As subconsultant to CRW Engineering Group, Summit Consulting provided full construction management services to the Beaver Traditional Council for the Beaver Multipurpose Facility and Clinic Project. Summit conducted an initial inspection and analysis of the partially completed building, which revealed that redesign and attention to certain code compliance issues would be required. The project scope included architectural redesign of the clinic section of the building, cost estimate development based on the redesigned drawings, completion of the clinic section of the building, site utility work, and completion of the structural portions of the facility providing access and egress. Project funds, including a grant from the Denali Commission, are administered through the Alaska Native Tribal Health Consortium. As a consultant to Village Safe Water, Summit was retained to take over and complete the construction of the new, partially completed wastewater lagoon. Summit worked with VSW to make modifications to the design, implemented the changes, and worked to raise the berm surface to above the flood water elevation. In 2008 Summit contracted with the City of Buckland to conduct a multi-phase, community wide, design-build water and sewer project that includes a comprehensive planning effort, wastewater lagoon, gravity sewer system with lift stations, water source development, water treatment plant, circulating water mains, and in-house plumbing. A Design Analysis Report and the 35% design are completed, and the heavy equipment, arctic pipe, and house plumbing materials have been purchased, shipped, and stored in Buckland. The City and IRA tank farms have been brought into regulatory compliance and a fuel dispenser system has been constructed within the tank farm secondary containment. 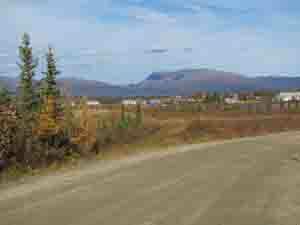 The City's heavy equipment maintenance building has been rehabilitated, and a 2-mile ice road has been built for access to a gravel source to provide bedding material for the pipe, lift station, and water storage tank. 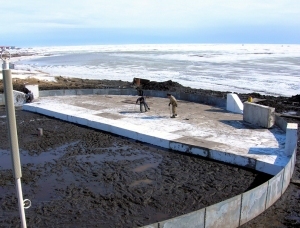 The work continued through the 2008/2009 winter and is ongoing. 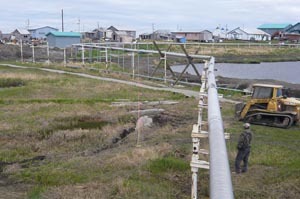 As subconsultant to HDR Alaska, Inc., Summit Consulting provided full construction management services to the City of Chevak for the Phase II Mechanical and Electrical Improvements Project. The scope of work included construction of a 50,000-gallon per day vacuum sewer station, a 50,000-gallon per day drinking water treatment and pumping plant, and a 20,000-gallon bulk fuel oil tank farm, marine header and distribution system. 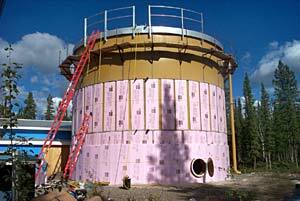 During the 1998 construction season the 150,000-gallon water storage tank erection was completed. This included the construction of a ring wall and associated yard piping. The insulation for the water storage tank was installed in 1999 as was the fuel tank farm and fuel oil distribution system, which included a 2,500 foot marine fuel header. In the village of Elim, Summit Consulting developed a rock pit and produced, hauled and placed class 4 rip rap and filter rock at Iron Creek. 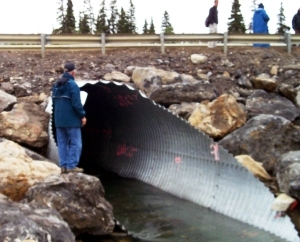 A 100-foot multi-plate culvert and sheet pile headwall were then installed, providing erosion control. During construction, a temporary river channel and road access was created to divert water flow around the culvert installation site until the work was complete. As subconsultant to Bristol Environmental & Engineering, Summit Consulting Services, Inc. reviewed engineers' estimates and preliminary design in preparation for Capital Improvement Project grant requested for the City of Emmonak. 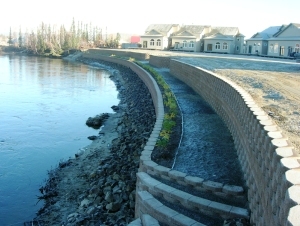 Summit Consulting engineered a 400-foot double tiered retaining wall along the north side of the Chena River to prevent erosion at the Riverbend Condominium project site. 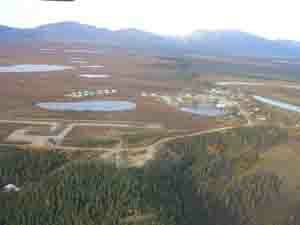 Kinross Gold, owner of Fairbanks Gold Mining Incorporated, produces over 1000 ounces of gold a day from the Fort Knox open pit gold mine north of Fairbanks. 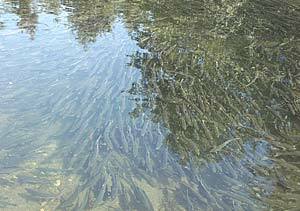 Tailings and wash water produced from the milling process are stored behind an impoundment dam on Fish Creek. The dam construction, begun in 1995, is over 3,000 feet long and 500 feet high, with the final lifts to reach design height added in 2004. Summit Consulting, under contract with Knight-Piesold Incorporated, the Colorado-based designer of the dam, provided quality control services for the 2004 construction program, including field inspection of lifts, density testing, grain size analyses and material source inspections. 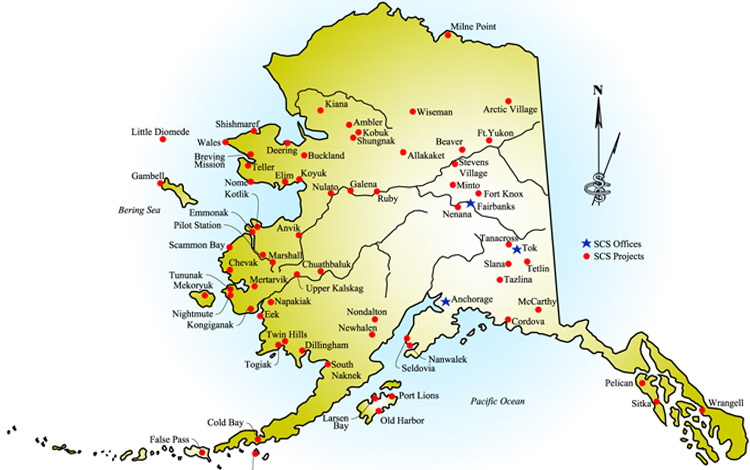 Summit Consulting provided project management services to the DCRA Alaska Energy Authority for the consolidation of bulk fuel facilities in the village of Kiana. Full project estimate, budget management, cost accounting, scheduling, barging/mobilization and superintendence services were provided. 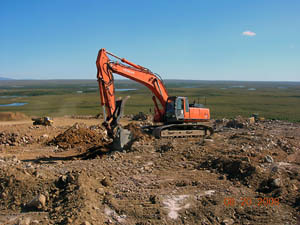 The scope of work included construction of three berms; lined containment cells; chain link fence installation; a remotely-operated fuel dispenser building; demo of old fuel storage tanks; retrofitting, reconfiguration and relocation of 15 existing tanks to the new containment site; erection of 17 new 22,000-gallon, 17,500-gallon and 12,000-gallon bulk fuel storage tanks on timber foundations; and installation of associated tank piping and appurtenances including 4,000 LF of above ground welded fuel piping and 6,000 LF of welded, coated buried fuel dispenser pipeline and marine header. a new 1.2 million gallon water storage tank. In progress for Kongiganak is a vacuum sewer system, multi-purpose building construction, and water treatment modifications to accommodate a community water haul system. 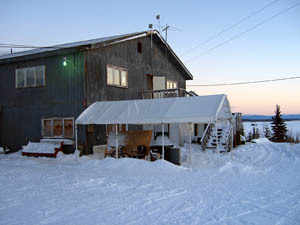 Seven (7) houses had arctic boxes and utility connections installed. 650 linear feet of vacuum force main and circulating potable water which included heat trace through insulated, aluminum utilidor was installed. 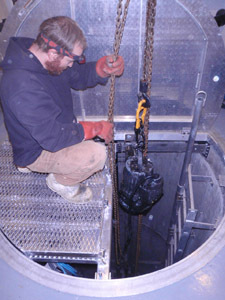 A remote control for the water treatment plant was also installed. 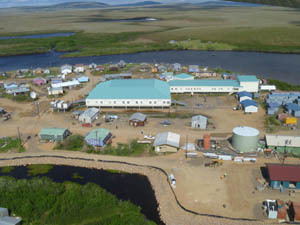 Summit Consulting was retained by Cowater Alaska, Inc. to provide materials procurement, budget management, superintendence, and as-built cost analysis services for the Mekoryuk 23 Unit Flush Tank and Haul Project. (Summit Consulting did not participate in the initial project estimate, mobilization, and procurement activities.) 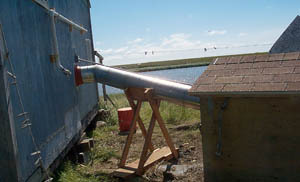 The Cowater Flush Tank and Haul System provides individual sanitary sewer and piped water systems (from a storage tank) to communities that cannot install conventional piped sewer and water systems due to unfavorable site conditions or lack of the economic base necessary to support the operation and maintenance costs. Low water use toilets and water and sewage holding tanks were installed at each residence after demolition and disposal of the preexisting fixture. Close coordination and scheduling with each homeowner by the superintendent allowed the crews to carry out the installations without excessive inconvenience to the homeowner. Following project completion, Summit Consulting performed a detailed cost analysis with resulting data used by Cowater to accurately estimate new work. Summit Consulting provided full construction management services to Montgomery Watson for completion of a turnkey project for BP Exploration (Alaska) Inc. Project estimate, budget management, scheduling and procurement/mobilization services were provided. Scope of work included removal and demolition of existing reverse osmosis treatment skids and installation of new multimedia filtration skids supplied by West Coast Water Systems of Canada. Work was performed while the water treatment facility was in full operation, with no more than four hours disruption during a given period, which required smooth coordination with management personnel to ensure minimal downtime during normal operations. Summit Consulting provided an inspection and analysis of the aging multi-purpose facility. From that Summit was able to provide a work plan and cost estimate for rehabilitation and new construction of the multi-purpose facility. 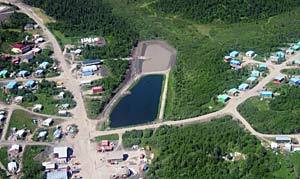 Cowater Alaska Inc. retained Summit Consulting Services, Inc. to provide full project estimate, budget management, scheduling, materials procurement, mobilization, and superintendence services for 22 Flush Tank and Haul units. Summit Consulting provided a feasibility study as well as an engineering design for the new visitor center's hydro-electric power system. 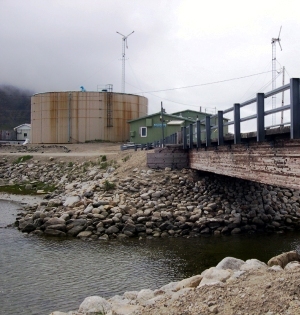 The Eielson Visitor Center's hydroelectric power system was designed to meet the minimal need of 2.2 kW of power, and to integrate with energy systems to be installed in the new facility. 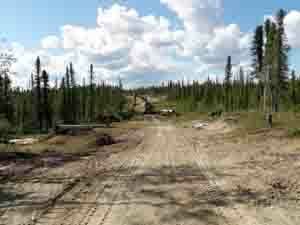 In June 2005 Summit was retained by the City of Nenana to complete the mechanical and electrical design and site specific civil layout and drawings, incorporating the design into the existing project plans. 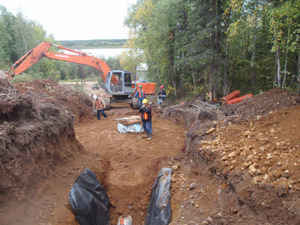 A site specific geotechnical investigation was done to provide foundation recommendations, a site specific topographical survey was done to verify property boundaries, and a grading and drainage plan was prepared. State Fire Marshall Approval was also obtained. 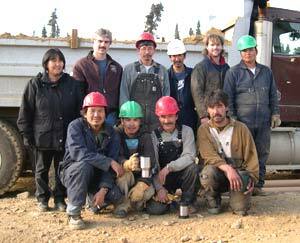 All preconstruction services necessary to enable construction of the project were also provided. In July 2005 Summit was awarded the contract to manage construction of the YERC building including project estimate, budget management, scheduling, materials procurement, mobilization and superintendence services. 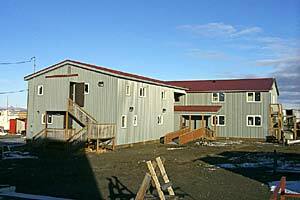 In the fall of 2006 the building was completed and turned over to the City for beneficial occupancy. 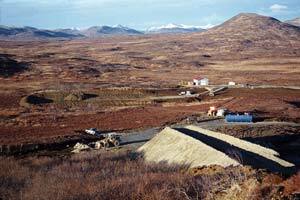 In September 1995 Summit was retained by Cowater Alaska Inc. to provide project estimate, budget management, scheduling, materials procurement, mobilization and superintendence services for the Nightmute Flush Tank & Haul Demonstration Project. 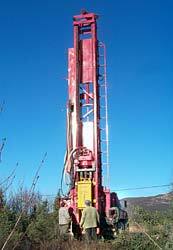 In 1996 Village Safe Water then facilitated a contract directly between Summit and the City of Nightmute for full design/build engineering and construction management services for a new access road, sewage lagoon and warm storage building. The contract was extended in 1997 for design and CM for the installation of eight (8) flush tank and haul units, followed by another contract extension in 1998 for an additional 36 units. 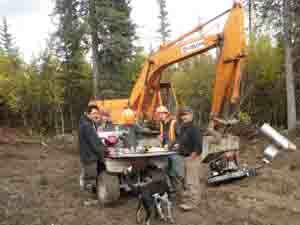 The scope also included drilling a new community well, and design and construction of a new water treatment plant. In 2003, Summit was retained to study the feasibility of constructing a new solid waste facility and washeteria and a new sewage lagoon for the school; this effort includes preparation of a utility business plan. 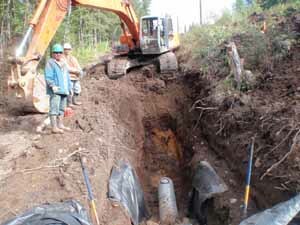 Several years after completing a successful Flush Tank and Haul Project in Nightmute, the City invited Summit to produce two management and feasibility studies for additional infrastructure improvements. The first study focuses on water and sewer topics and develops a plan for a new washeteria and improvements to the school's wastewater system. The second study is directed toward solid waste management. 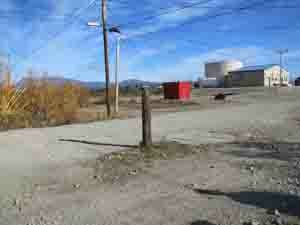 The existing unpermitted dump sites were investigated and a series of alternatives for a new landfill were developed. After the community selects their preferred alternatives, preliminary design will be developed, including site plans, aerial photography, cross sections, access roads, and utility management. As subconsultant to Bristol Environmental and Engineering Services Corporation, Summit Consulting Services, Inc. provided full construction management services for a new community landfill complete with chain link fence enclosure, a Summit Consulting Services, Inc. Burn Box for incineration of certain types of community waste, access road upgrades, and closure of the old landfill site. The project was constrained by funding limitations and the original scope of work did not include closure of the existing dump. However, Summit and Bristol devised a cost effective solution to close the dump within the original budget. 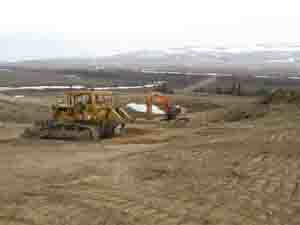 The plan was approved by the DEC and the dump was closed without adding additional cost to the project. Summit Consulting performed onsite quality control and budget analysis services and provided cost estimating services in 1995. The project scope included 44,000 linear feet of sewer and water main, 88,000 linear feet of glycol loop, 75 house services, and a new sewage lagoon. 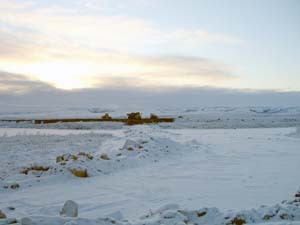 Summit Consulting was the prime construction management consultant for the Nunat Uquutiit Cooperative, Inc. fuel tank farm project in Scammon Bay. Full project estimate, budget, cost accounting, scheduling, value engineering, equipment/materials procurement, mobilization and superintendence services were provided. 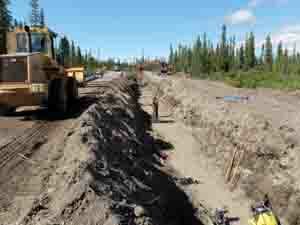 The scope of work includes heavy equipment/materials procurement, mobilization, haul and access road upgrades and repairs, bridge upgrade and repair, construction of a new 20,000 square foot containment pad, construction of dikes, installation of chain link fence, refurbishment and relocation of fifteen 10,000 gallon tanks, and dispenser building construction. 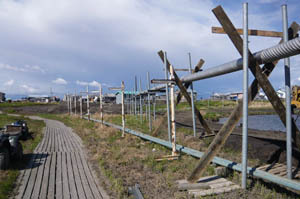 Summit Consulting provided full design and construction management services to Kawerak, Inc. and the City of Shishmaref to construct a seawall to protect the northeastern end of Sarichef Island from severe erosion. 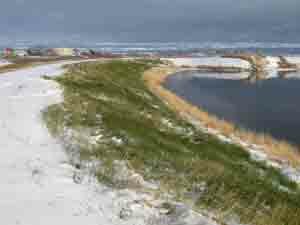 At the outset of the project, Summit researched previous studies and projects in Shishmaref, consulted with the affected agencies, and designed a rock revetment seawall intended to provide erosion protection while the community prepares to relocate. As part of the project buyout in 2003, Summit managed the public bid and procurement process for 7,000 tons of rock for the seawall. 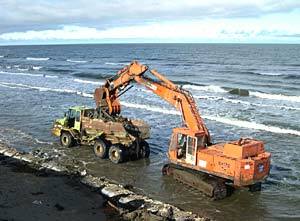 Summit also procured and mobilized the appropriate heavy equipment to construct the seawall. 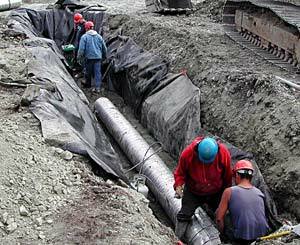 Summit Consulting is scheduled to provide new improvements to the City of Shugnak water and sewer system during the 2011 construction season. These improvements will include new components of the water and sewer mains, replacement of house service lines for water and sewer, as well as replacing 15 service boxes on the houses. 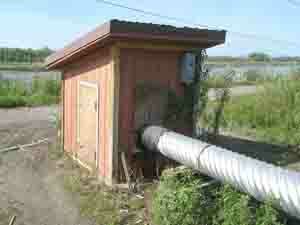 Additionally, funding may be possible for landfill upgrades including a burn box. The City and Borough of Sitka asked Summit Consulting Services to produce a Master Plan document that accurately describes the current conditions in the watershed, identifies critical and valuable community assets, and provides alternatives to watershed management that protect and enhance the resources of the Indian River Watershed. Tasks include field and office research, production of maps that accurately describe the watershed resources, agency coordination, public presentations and production of a final Master Plan document that can act as the basis to guide development and as supporting documentation for funding requests. 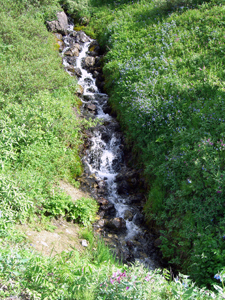 The Indian River watershed in Sitka is currently used as a scenic, educational, historical, cultural, recreational, industrial, water supply, and bird and fish habitat resource. Existing development includes Sheldon Jackson College, the Alaska Raptor Center, the Public Safety Academy, residential subdivisions, a rock quarry, a backup municipal water supply, the Sitka National Historical Park, recreational hiking trails, cemeteries and other facilities. Sitka is also a growing community, and The City and Borough of Sitka recognized the potential for additional development within the watershed, and also acknowledged the need to conserve and protect the existing resources that help define the community. The Indian River Corridor and Master Plan project grew out of the awareness that a proactive role was needed to ensure that future development in the watershed was consistent with the Sitka community's needs and interests. Summit Consulting provided design and construction management services to the City of Slana to construct 20 onsite septic tanks for residential homes. 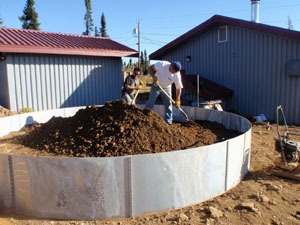 Summit is scheduled to provide 30 additional onsite septic tanks to residential homeowners during the 2011 construction season. Summit Consulting provided design and construction management services to Stevens Village to improve the city's existing sanitation infrastructure. Summit provided Water Treatment Plant (WTP) improvements, which included upgrading the current WTP facility, and constructed a lift station to upgrade the existing Waste Water Treatment Plant. During the sewer system work, the existing system was kept on-line in order to maintain service to the community without significant interruption. Project Manager for the Tazlina Village Council Sewer System, Water Well, and Community Hall Site Plan and Preliminary Design Project. The scope of work involved providing a long-range site plan and conceptual level design for a sewer system, water well and community hall for the community of Tazlina. 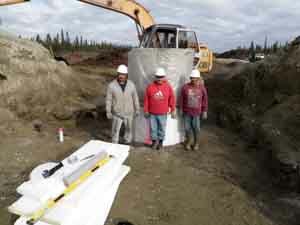 Summit Consulting provided procurement and cost accounting services to the Alaska Native Tribal Health Consortium for the Tetlin Washeteria Project. Summit Consulting was responsible for coordinating the procurement and freight logistics of all required materials and accurately tracking expenses. 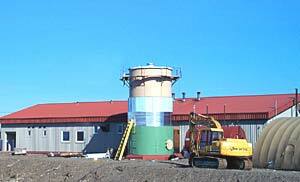 In 2001 Summit Consulting provided complete design and construction management services to the City of Togiak for Phase I of the Multipurpose Facility Upgrade Project. 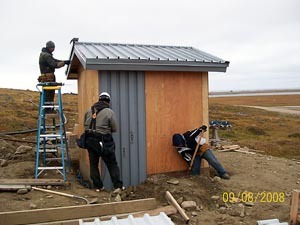 The scope of work for Phase I included providing design, estimate, budget management, cost accounting, scheduling, materials procurement, air freight mobilization and superintendence services to re-side and re-roof the office/bunkhouse building, install new windows and doors and replace the stairways. In late 2003, Summit was retained to begin Phase II of the Togiak Multipurpose Facility Project, coordinating the architectural, structural, mechanical and electrical design to renovate the interior of the building and providing full construction management services. Material lists were generated concurrent with design development and project air and barge mobilization occurred in April. Construction was completed in November 2004. 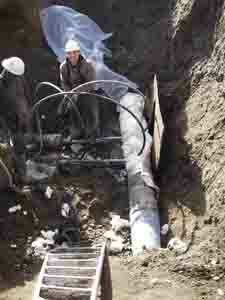 Summit Consulting analyzed the design and construction for water and sewer improvements in Wales. The feasibility study examined options for construction of a potable water transmission main from the new wells at the base of Razorback Ridge to the existing water treatment plant. Two primary systems were considered: Fill and Draw and Continuous Operation. Summit determined that the surface Fill and Draw system was less costly to construct, operate, and maintain. 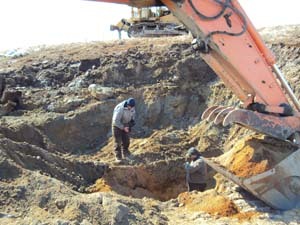 Construction for the Razorback Water Transmission Line began during 2008. 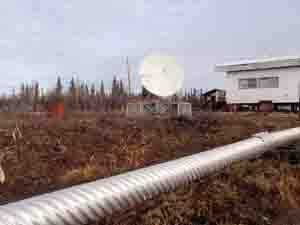 A well house, power line extension, and transmission line with heat trace and protection was constructed. During the 2009 construction season Summit will return to Wales to finalize the operation of the transmission main, complete the O&M manual, train local operators on the filling of their water storage tank and to demobilize the project. 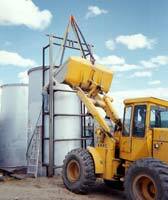 Summit Consulting performed patch repairs, interior tank coating repairs, and replaced nozzles to the water storage tank in 2004. Also in 2004, Summit Consulting drained, disinfected and repainted the water storage tank interior with a Devoe AWWA approved coating system. 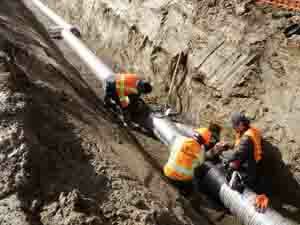 The project included repairing and replacing the existing piping, valves, manway and related appurtenances. The water storage tank was returned to service in 2004. Located on the southern slope of the Brooks Range in northern Alaska, Wiseman was home to early 20th century prospectors during Alaska's gold rush. One of the few remaining historic structures in Wiseman is a log building that originally served as the miners' community hall. The structure was built directly on the ground and over the past century, the lower log courses have decayed. 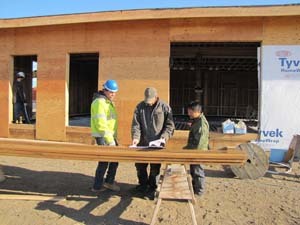 After inspecting the building, Summit developed a plan to raise the entire structure and construct a new foundation below it. 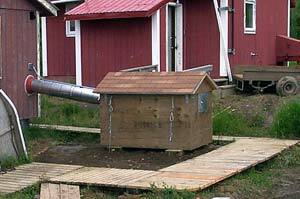 The construction was complicated by Wiseman's remote location: above the Arctic Circle and over 250 miles from the nearest hardware store. Summit procured and mobilized new materials, the rotted logs were replaced, and the building was lowered onto a treated timber pony wall foundation.